The collection album is divided into themes, the themes are divided into episodes. 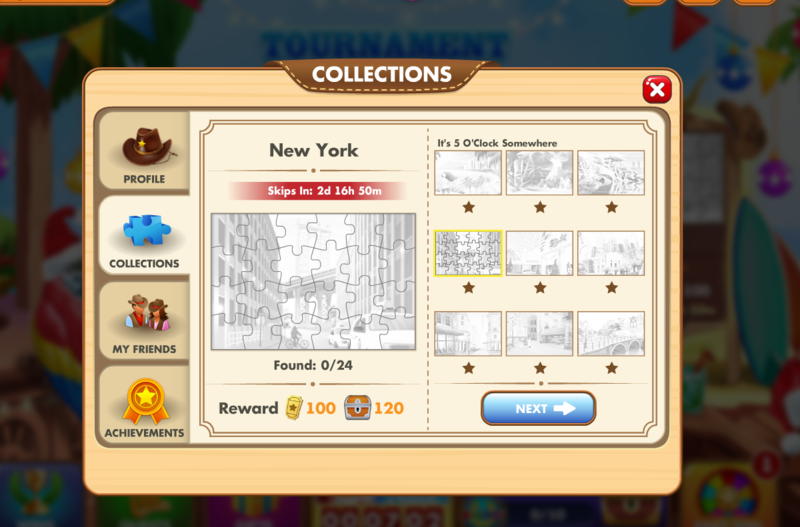 Each episode has 24 puzzles that you need to collect in order to receive the claimed reward. Only after the collection of the first episode in the thematic set is the transition to the next episode in this topic.